Categories: Business, Coaching, Concise Advice Series, Leadership, Management, Simon Tyler, Well-being. How to create positive change and outcomes by “shifting” our attitudes. The definition of attitude: an expression of favour or disfavour toward a person, thing or event. As human beings, we often find ourselves locked into certain habits, patterns and behaviours. However, that is not to say we do not have a choice, especially when it comes to our attitude toward people, situations and outcomes. In this original and engaging book, a leading business coach demonstrates how we can shift our attitudes to create positive change and outcomes in our work and personal lives. In doing so, he helps us to reassess our current habits and behaviours, and makes us realize the wider choices we have in coping and dealing with people, issues and problems in our everyday lives. Part of the bestselling Concise Advice series – stylishly presented and easy to understand and apply. 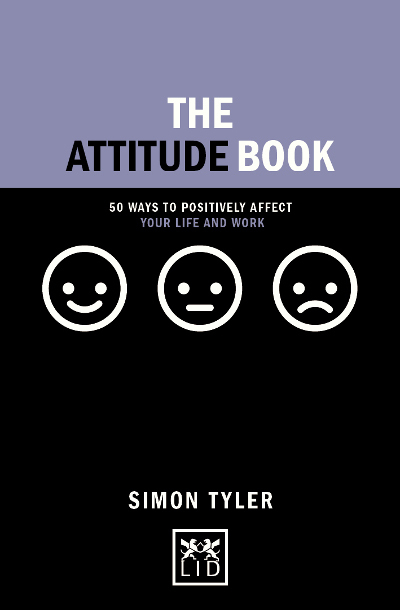 Simon Tyler is the author of The Impact Book and The Keep It Simple Book, and is a much sought-after business coach who works with some of the world’s leading companies. The health of our brain, as measured through cognitive health domains such as “executive function”, is the single most important aspect of our overall health. In business, good cognitive health enables you to go beyond simply coping, to managing and leading. For a fully functioning brain enables us to operate to our highest capacity and reach optimum performance. Improved cognitive health allows us to become sharp, accurate, confident, precise, attentive, a source of wisdom and a bundle of energy. This book provides a comprehensive overview of the key cognitive health domains and how they impact your ability to operate at your best. You will understand the importance of each domain in order for you to maximize your cognitive health and be your best – or to have the best executive function.